Professor Hugh J. Willison directs the Neuroimmunology Research Group at the University of Glasgow, Scotland. He also practices clinical neurology and directs a Diagnostic Neuroimmunology service within the South Glasgow University Hospitals. He has a specialist clinical interest in the diagnosis and management of patients with autoimmune peripheral nerve disorders. His research on autoimmune neuropathy involves pathogenesis studies and novel treatment strategies for the severe paralytic disorder, Guillain-Barré syndrome, which was first described 101 years ago, in 1916. He currently has a particular interest in understanding Guillain-Barré syndrome that follows Zika virus and other flavivirus infections. 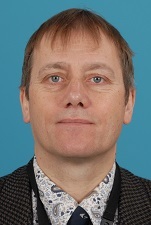 He teaches widely, being a founding board member and co-director of the European School of Neuroimmunology (http://www.esni.isniweb.org/) which recently expanded to organise teaching courses worldwide. He is on the executive board of a worldwide effort to promote research and teaching into Guillain-Barré syndrome, termed the IGOS network, which is seeking to develop research sites in India. In 2015, he was awarded the Alan J Gebhart Prize for Excellence in Peripheral Nerve Research by the Peripheral Nerve Society. He is a Fellow of the Royal Society of Edinburgh. His research is principally funded by the Wellcome Trust and the European Union. The peripheral neuropathy, GBS, is the most common form of acute neuromuscular paralysis (annual incidence ~1-2 per 100,000). Most GBS cases follow a trivial bacterial or viral infection, suggesting a post-infectious autoimmune mechanism for disease. Autoimmunity to gangliosides is thought in part to underlie the disorder, although antibodies are detectable by current methods in only about half of the patients, predominantly those with axonal forms. GBS is characterized by muscle weakness, peaking at ~4 weeks from onset, areflexia and variable sensory disturbance. Although most patients recover, there is ~5-10% mortality or long-term morbidity. Distinct variants can be discriminated within the spectrum of clinical, serological and electrodiagnostic characteristics. Acute inflammatory demyelinating polyneuropathy (AIDP), the most common variant in the Western world, is hallmarked by demyelination, mostly without axonal damage. In other forms axonal degeneration occurs specifically in motor axons (acute motor axonal neuropathy, AMAN) or in both motor and sensory axons (acute motor and sensory axonal neuropathy, AMSAN). Recently, intermediate phenotypes have been defined. This talk will review clinical studies on pathogenesis and treatment of GBS, underpinned by more basic data derived from experimental studies.